When choosing a room divider, the first thing that comes to mind might be size, portability, and ease-of-use. However, most people probably don’t think about the most important aspect of a room partition: panel material. The panel material affects the sound reduction levels, vibration / shock absorbency, flexibility, mobility, and a variety of other key features that separate a high-quality room divider from an average one. 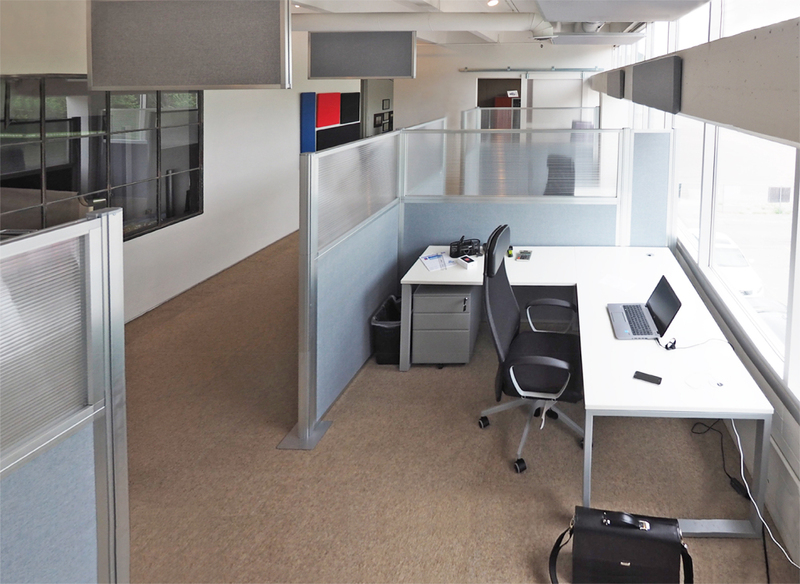 No two materials are the same, and when searching for your next space divider for your office, warehouse, or personal room, you’ll want to be familiar with the benefits and differences of the four most common options Versare offers. 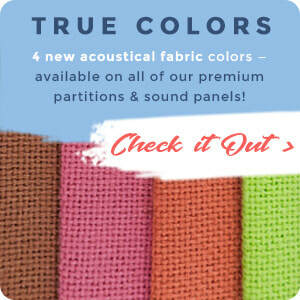 ​Available in over twenty colors, pushpin-accepting Acoustical Fabric is by far our most popular panel choice. This partition panel style uses a sound-absorbing honeycomb core surrounded by two outer layers of fiberglass. 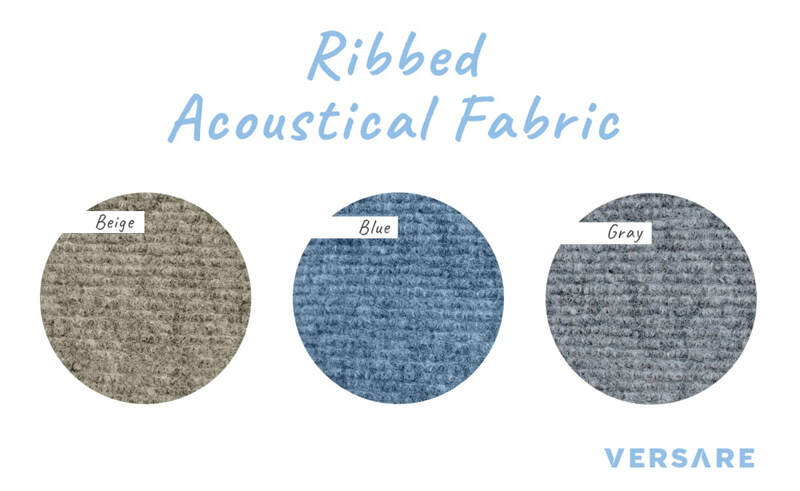 The core and fiberglass are covered in FR701 Acoustical Fabric, which is 100% polyester high-performance fabric. This panel option is also rated Class A firesafe and passes E84 fire tests. 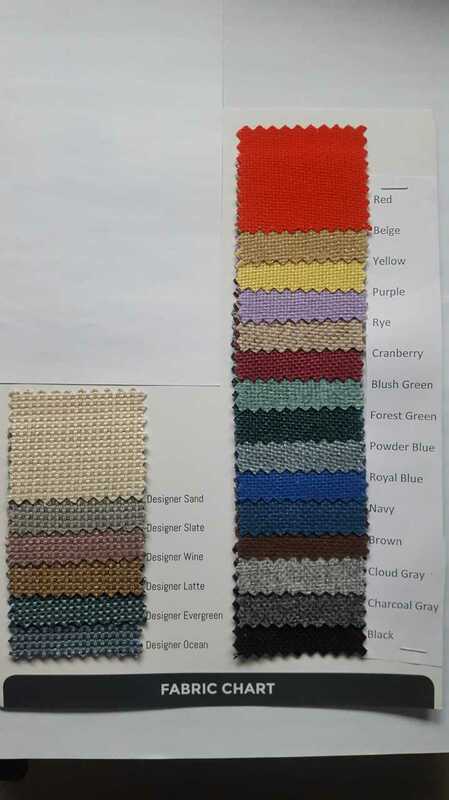 Don't see a color that meets your requirements? Personalize your partition or boast your brand - we can custom print your artwork, logo, or mascot across the panels of these USA-Made partitions. Design your own room divider or privacy screen! 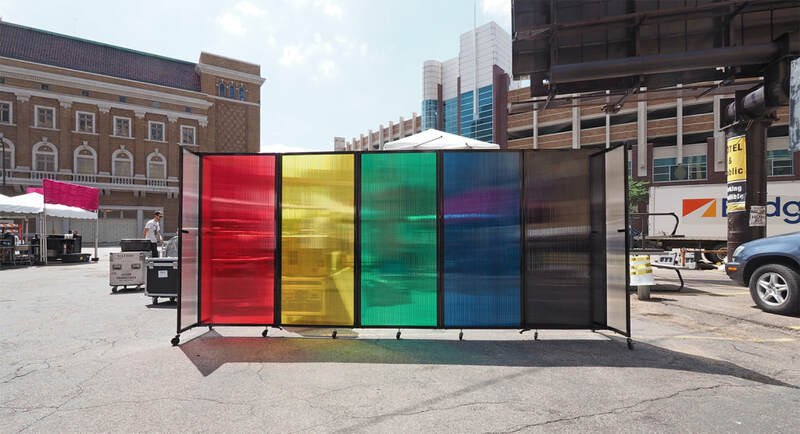 Choose colors, text, images, or upload your own logo or pattern to create the perfect portable partition​. Classrooms or daycares can incorporate school colors or pictures of mascots, hotels and stores can brand their screens or supply information, businesses can advertise products or corporate logos, and homeowners can print colors, pictures, or patterns to match their room decor. Our Acoustical Fabric is incredibly durable and what you would find around speaker grills and in areas that require site and sound control. 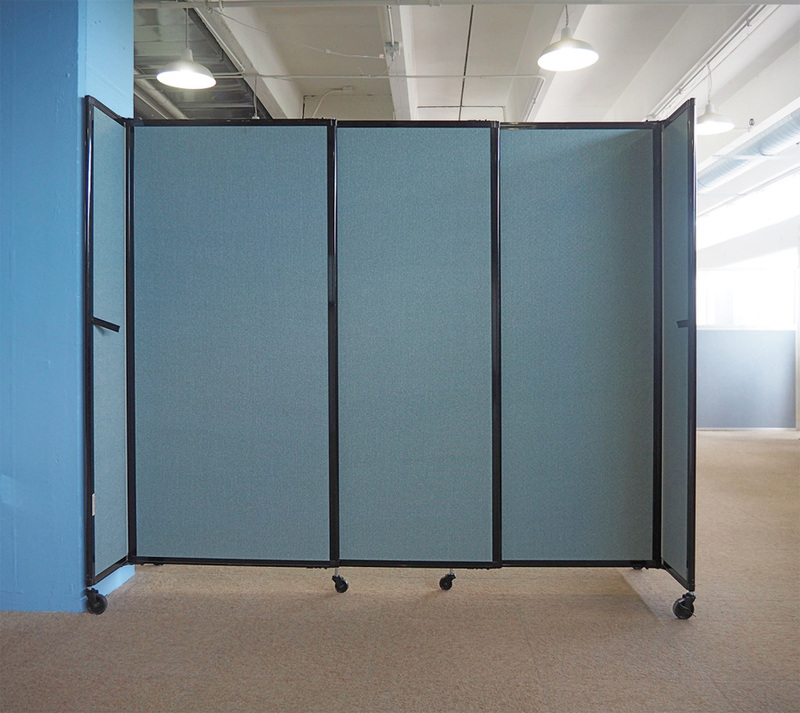 Offering superior noise-dampening, these acoustical partition panels are rated 0.50 NRC (Noise Reduction Coefficient). Polycarbonate plastic materials are known for withstanding temperature ranges from -40°F to +240°F. This is a result of their thermoplastic makeup that land polycarbonate panels among the toughest types of partitions available. These durable partition panels are made up of 18mm of fluted polycarbonate 2700 (g/M^2) which is ideal for high use, outdoors, machining areas, and places with a versatile environment. If the area also has a high noise influx, the polycarbonate material will provide a sound reduction of 20 DB. 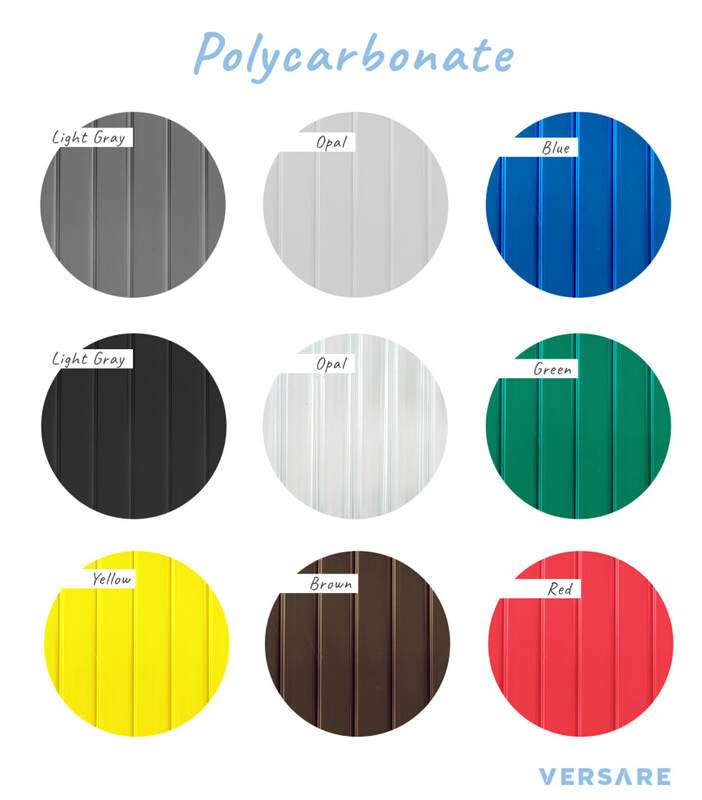 In addition, polycarbonate materials have a high resistance to heat and cold, containing a flammability classification ASTM-E-84 Class A.
Ribbed acoustical fabric is made up of a low-density polyethylene (LDPE) foam core, with excellent sound-dampening qualities and an NRC rating of 0.65. LDPE has a long list of valuable features including durability and flexibility, as well as being resistant to water, shock, UV, and vibration. Our VersiPanel and VersiFold partitions exclusively offer this panel material. The ideal place for ribbed acoustic panels are areas that require more sound control than site control such as office work areas, home recording studios, portable classrooms and temporary meeting rooms. If you have questions about which type of panel fabric is best for your needs and space, ask one of our consultants, we’re here to help you!